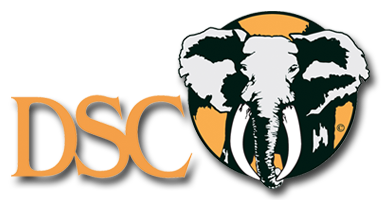 Our Cameroon partner and professional hunter has more than 30 years experience of Central Africa hunting and is also the President of the French Professional Hunters Association ACP. Trophy fees + 15% Community Village Tax on Trophy Fees, Dip and Pack and Hunting Permit. Insurance for liability and cancellation, repatriation and bags. The hunter can bring up to 2 Guns in Cameroon. The Gun permit and visa are applied in the country of origin at the local Cameroon Embassy or through the booking agent. It is highly recommended to check enough time in advance that the number in the gun permit is the same as the one of the gun. Also, when the gun permit allows you to bring 50 ammo per gun, bring the exact number that is written on the gun permit not more and not less. Also make sure the rifle is set with the same ammo that will be used during hunting. We will assist you with the domestic flight arrangements from Yaounde/Doula to Garoua, hotel if needed in Yaounde/Douala, meet and greet, transfer to hotel and custom assistance in Yaounde/Douala if overnight is necessary, (do not save on this assistance). Meet and greet in Garoua is included. The hunting permit is obtained by the outfitter. - medical prescription saying : the hunter is able to hunt in Cameroon. Malarone treatment or equivalent is highly recommended. Make sure to have liability insurance and repatriation with you. You may be asked to show it. Make sure to have enough EURO cash on you and not US dollar for gratuities and trophy fees unpaid upfront. Local staff and people from villages are happy to receive old clothes from hunters, so think about bringing some if possible. The generator 220 volts works from 6pm to 10pm , sometimes at nap time for air condition. You need all your personal medication, pharmacy, sun creams, eye glasses binoculars, small torch, and any personal belongings you may use. The climate in the Cameroon Savannah is generally warm. Average temperatures range from 90f to 110f. Mornings in the early season can be fairly cool often dropping into the 50f. By mid morning the temperature has warmed up considerably. - 2 pairs of good walking boots or running shoes (run in). Ground can be uneven so cushioning and ankle support is recommended. - 1 pair of sandals or lightweight shoes for the evening around the camp. Military type camouflage is not permitted in most African countries, but Real-tree types are normally accepted. Laundry is done each day except for the days when you change camp and the day of departure.